Since the early 1990s, international activists and scholars have watched with fascination – and often admiration – as Cuba underwent a massive transition toward a more sustainable food production system. The transformation was prompted by the collapse of the Soviet Union, which left the country with almost no access to imported food, fuel, machinery, and other industrially fabricated products. Citizens mobilized to confront this scarcity by creating neighborhood gardens, innovating in low-input farming techniques, and investigating biological pest management. The state instituted a department of urban agriculture, and made more land available to small-scale, family farmers. Commentators often describe these changes as having been born of necessity rather than choice. As one US-based scholar recently reported, “Organic agriculture was essentially forced upon Cuba.”  The insinuation of such statements is that because the turn to sustainable agriculture was motivated by economic precarity, it does not represent the authentic preferences of the Cuban people. Indeed, Cuba has re-invested in conventional agriculture in the years since the initial agricultural transition, rebuilding sugarcane production and importing oil and agricultural chemicals. Skeptics of Cuban progress have remarked that the supposed sustainable agriculture transition must never have been as significant as made out, or that those involved must not have had a true ideological commitment to alternative agriculture. These doubts have been reinforced by false reports indicating that the country remains more heavily dependent on imported food than it actually is. In reality, many of the agronomists and growers who pioneered Cuba’s organic, agroecological, permaculture and urban agriculture sectors making up the alternative agriculture movement had long harbored deep intellectual, ideological, and ethical interests in agricultural transformation. The Soviet Union’s collapse was not actually the first inspiration, but the political opening that allowed them to act on their vision. As Cuba’s alternative agriculture movement spread, it captured the interest of an increasing number of people, including urban dwellers who wanted to increase their own food security and rural farmers who saw the benefits that these methods brought to both their productivity and their land. Although the notion of farming without chemicals was unfamiliar to many growers who learned to farm during the 1960s-1980s, the philosophies of organic and agroecological production resonated with practices that many campesinos remembered learning from their parents and grandparents. For many people alternative agriculture came to be more than just a means of coping, but also a better way of living. They found pleasure and even “spiritual satisfaction” in expanding their diets, creating more diverse ecosystems around them, and contributing to a different environmental and economic future. But like any country, Cuba is populated by people with a wide range and diversity of opinions. Even as the alternative agriculture movements spreads, many state leaders continue to pursue the expansion of conventional agriculture with hopes that it will improve the country’s national economy and trade balance. Since he assumed the presidency in 2008, Raúl Castro has emphasized productivity and efficiency at any cost; a priority that often leads the state away from sustainable agriculture. Some farmers, who understandably desire improved access to material goods and consumer products, continue to rely on the short-term benefits of chemical fertilizers. This is particularly true of certain new-entry farmers, who have little insight into the negative long-term ramifications of agricultural chemicals, and also younger farmers dreaming of immigration, who do not have the motivation to avoid these future problems. When Obama visited Cuba, he announced that the US wanted to bring new companies and job opportunities. At the same time, United States Department of Agriculture (USDA) Secretary Tom Vilsack signed a memorandum of understanding (MOU) with Cuba for agricultural marketing and research collaboration. In his statement, he highlighted that the arrangement would bring new “science-based information” to Cuban growers (notably, he did not mention hat the US could learn from Cuba’s more advanced research in agroecology and diversified farming). US farm groups – particularly corn and soybean associations – have long declared their intention to export more grains to Cuba; often musing to the press how they could improve food availability in the country. A small company from North Carolina is developing a tractor – suitable for small-scale farming – to build and sell in Cuba. More recently, major American organic food companies have announced plans to visit the island and begin discussions on certification there, which would allow for agroecological farmers to access niche markets in the US. While the latter two efforts at least represent some recognition of the conditions and specializations of Cuban agriculture, all of these projects share in common the framing of “bringing” something to Cuba – whether that be food, feed, jobs, equipment, or certification and markets. Their rhetoric wraps a familiar sort of economic imperialism – characterized by the desire for profit extraction and paternalistic notions about what is best for another country’s economy – in the more palatable language of support and aid. Unfortunately, US politicians’ and companies’ statements about economic cooperation not only fail to mention any real solidarity or mutual exchange, they also often fail to ask what Cubans actually want from the new economic relationships. I conducted research in Cuba from 2011-2015. During this time, I met Cubans who worried about the direction their country could take after the embargo was lifted. I met more who thought the embargo was a red herring for the more complex economic problems that Cuba faces. I met very few Cubans, however, who do not hope for an end to the embargo. The vast majority (like most Americans) see the embargo as irrational and unfair. They desire improved access to basic goods – like shampoo, paper, and shoes – that have limited scale in domestic production, and they long for a day when the country has more latitude to negotiate international trade. This, however, does not mean they agree with the vision of economic exchange that the US is currently offering. Cubans desire improved access to basic goods – like shampoo, paper, and shoes – that have limited scale in domestic production, and they long for a day when the country has more latitude to negotiate international trade. This, however, does not mean they agree with the vision of economic exchange that the US is currently offering. Indeed, the permaculturists and agroecologists that I have interviewed indicate that the future they dream of maintains small-scale farming livelihoods and continued access to socialized systems of medicine and education, with the improvement of easier access to products that will facilitate their current lifestyles. For instance, one family told me they hoped that improved US-Cuban relations would mean that more glass jars could be imported into or manufactured in Cuba, so that they could preserve their crops and sell them to local markets. Others mentioned that they would be interested in seeing a limited expansion of agricultural trade so that items like apples – that cannot easily be produced in Cuba’s climate – could become available. Many of my interviewees were well-versed in the dangers of free trade. Through interactions with food sovereignty and sustainable food activists from Mexico and Central America, they learned about NAFTA (the North American Free Trade Agreement) and CAFTA (the Central American Free Trade Agreement), and how these “free” trade deals undermine peasant livelihoods and genetic diversity of crops. Some of them insist Cuba will have the wisdom and experience to avoid these pitfalls. Cuba is on the brink of sweeping transformations. One aspect of this is renewed economic relations with the US, but Cuba is also opening up to new trade and diplomatic relationships in Europe, Latin America and Asia. Economic liberalization has been set in process, but there are still many doors left shut. It is up to the Cuban state to determine which to open. Whether and in what ways new international trade and economic relationships will hurt or hinder the structural conditions surrounding Cuba’s food and agricultural system will depend on these choices. Thus far, the decision-making process remains opaque. I don’t have any doubt that agroecology will continue to grow, or that people will understand it more everyday. Not only in Cuba. This has to be all over the world, because we don’t have any alternative. We have to take care of these [environmental and social] problems, or humanity will fall into an abyss. Cuba is both a state and a people. Many of its people hope for a future of fair access to healthy, sustainably produced foods. Justine Williams lived and conducted research in Cuba for various periods between 2011 and 2015. She is the coordinator and co-editor for Food First’s forthcoming volume Land and Justice: Re-imagining Land, Food and the Commons in the United States. She holds an MA and is a PhD candidate in anthropology at the University of North Carolina in Chapel Hill. See Altieri,Miguel. 2016. 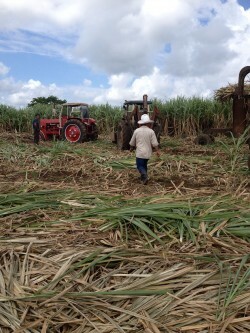 “Cuba’s Sustainable Agriculture at Risk in U.S. Thaw.” The Conversation, March 25. Sinan Koont as quoted in: Thomas Reuters Foundation. 2016. “FEATURE -As Cuba Struggles to Feed Itself, Lack of Cash Slows Rise of Urban Farming.” Reuters, February 4. http://in.reuters.com/article/food-cuba-farming-idINL8N1593SZ. Avery, Dennis T. 2009. “Cubans Starve on Diet of Lies.” The Center for Global Food Issues, April 2. Altieri, Miguel A., and Fernando Funes Monzote. 2012. 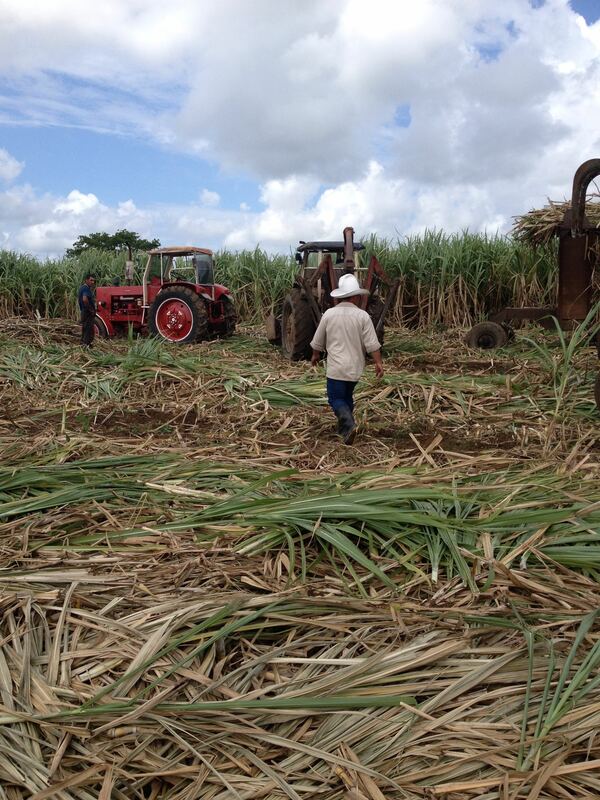 “The Paradox of Cuban Agriculture.” Monthly Review 63 (8). http://monthlyreview.org/2012/01/01/the-paradox-of-cuban-agriculture/. Williams, Justine. N/D. Forthcoming. “Abrir Caminos: Making the Food System in Everyday Cuba.” Doctoral Dissertation, University of North Carolina at Chapel Hill. Obama, Barack. 2016. Joint News Conference Raúl Castro. Havana, Cuba. March 21. World Grain Staff. 2016. “U.S., Cuba to Further Collaborate on Agriculture.” World-Grain, March 22. Stradling, Richard. 2016. “American Company Gets the Green Light to Build Tractors in Cuba.” The News & Observer, February 15. Hopkinson, Jenny. 2016. “U.S. Companies Make Case For Keeping Cuba Organic.” Politico, April 1. This quote is from an interview conducted as part of anthropological research funded by the National Science Foundation and the UNC Graduate School. Following the conventions of ethnographic research – which respects the privacy of informants – all names are changed.